MANILA - Malacañang on Wednesday said the petition filed by workers from Boracay island asking the Supreme Court to stop the closure of the popular tourist destination bore no merit. Presidential Spokesperson Harry Roque said it was unlikely for the high court to side with the petitioners since it already ruled in 2008 that Boracay is state-owned. “While the President respects the Court, we see absolutely no merit for any private party to restraint the closure of Boracay to tourists given that SC itself has previously ruled that Boracay is owned primarily by the state,” Presidential Spokesperson Harry Roque said in a statement. “Unless a TRO is issued, the planned closure of Boracay to tourists, shall proceed,” he said. 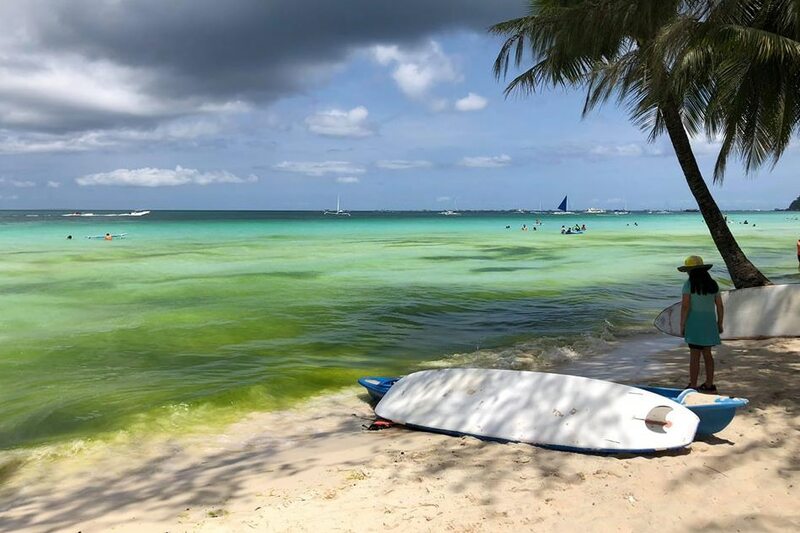 Represented by the National Union of People’s Lawyers, Boracay workers filed a petition seeking to halt the government-mandated closure aimed at cleaning up the renowned beach destination. The petitioners, who are facing unemployment with the closure, are asking the court to allow the entry of tourists even during its rehabilitation, set to begin Thursday, April 26. Duterte had described the top tourist destination as a “cesspool,” citing the untreated wastewater that establishments in the island supposedly dump into the open sea. The government aims to improve the island’s sewerage system and road networks, eliminate solid waste, remove structures violating the shore easement rules, and recover the island’s wetlands, during the 6-month shutdown. Businesses in the island have been bracing for the closure, as they are set to lose billions in earnings and leave the island’s estimated 30,000 workers from both the formal and informal sectors jobless.